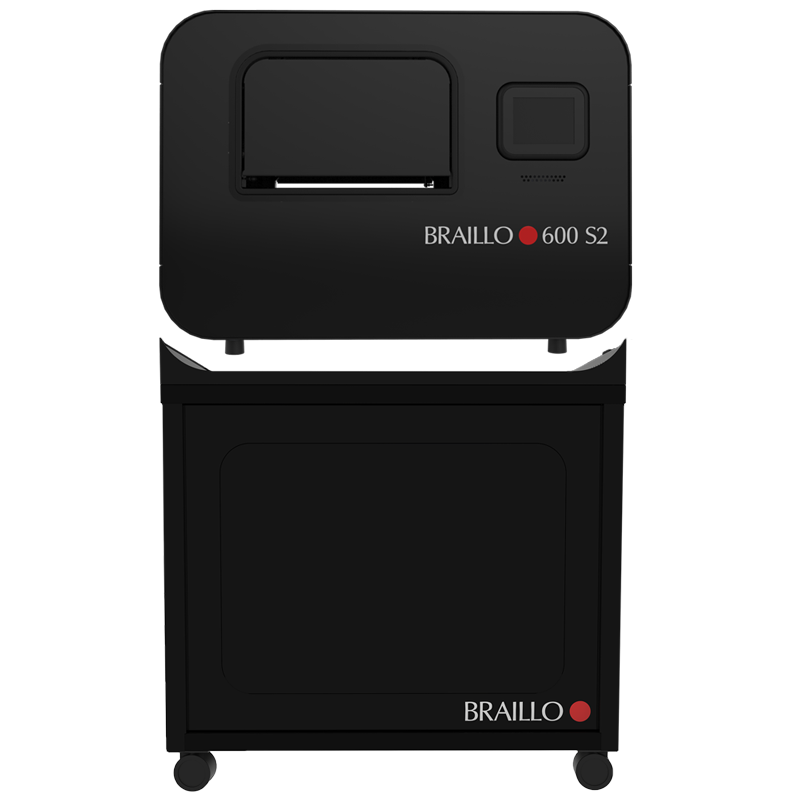 The Braillo 600 S2 Braille embosser is the faster, more robust counterpart to the Braillo 450 S2. Embossing at 600 CPS (1,800 pages per hour), it is the fastest continuous/fanfold embosser available, and it offers remarkable dot quality and dependability. 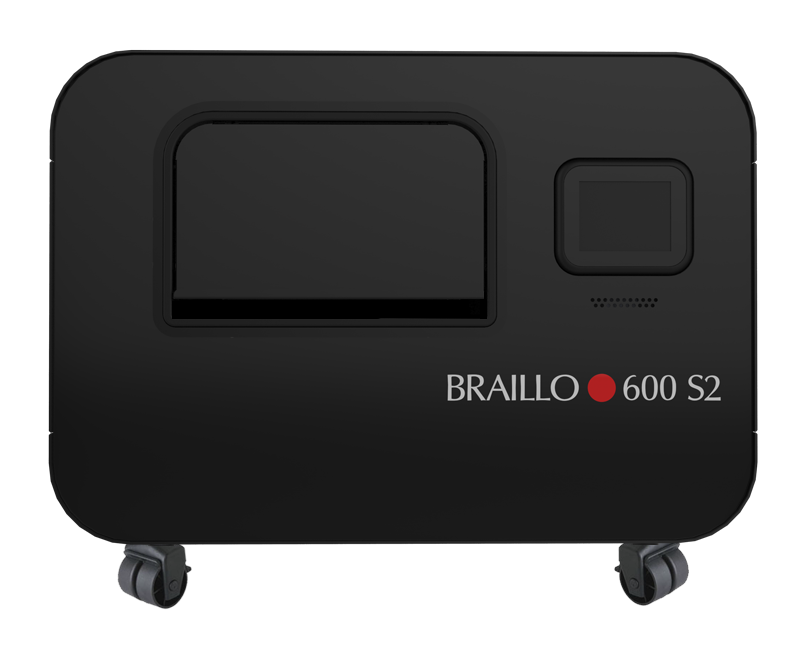 Its combination of speed, reliability and quietness are the reasons why its predecessor, the Braillo 600, is used across the world by most of the largest Braille production facilities. Efficient Design. 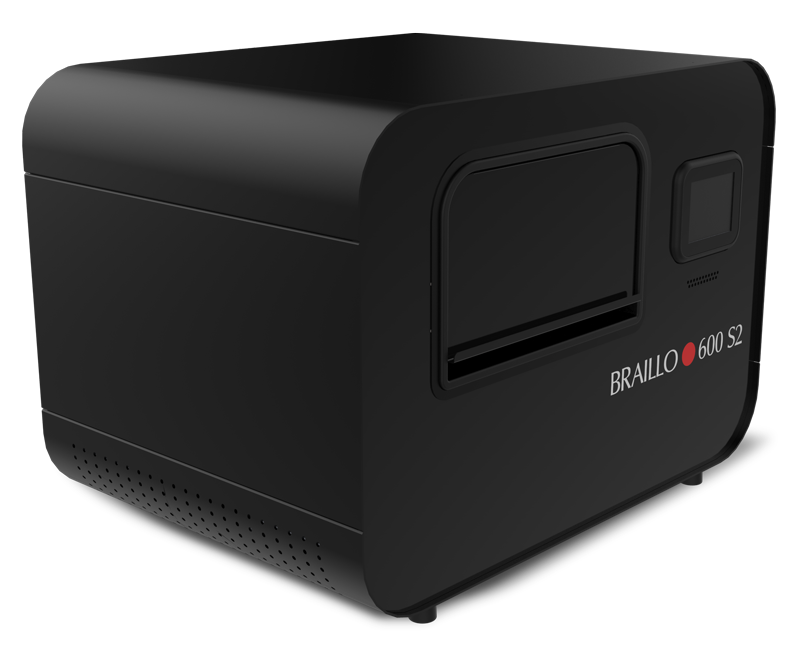 The Braillo 600 S2 has been designed and built for high production volumes that customers demand. This embosser is specifically designed and built with more substantial components necessary to handle the increased speed and Braille production operating requirements. This extremely heavy-duty construction allows for continuous high speed Braille production while maintaining optimal Braille quality. 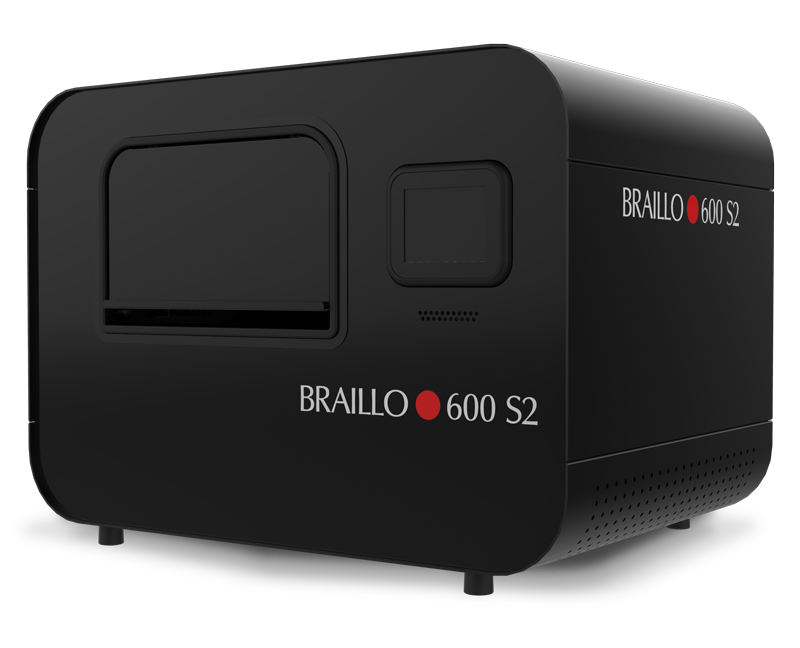 As your Braille production needs increase beyond those of the 300 S2 and 450 S2, the Braillo 600 S2 has been specifically built to meet your needs and exceed your expectations. Flexibility to Grow. Unique to the 600 S2 is that it is built upon a chassis that can be upgraded to a Brallo 600 SR as your Braille production needs expand. Upgrading to a 600 SR, enables you to introduce paper rolls and a paper stacker into your production line. Using paper rolls reduces paper expenses and eliminates the need for a burster and its operator. 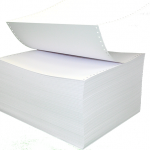 Each paper roll yields roughly 15,000 Braille sheets (30,000 interpoint pages) – simply stated, you will be able to run at full production 1 roll/day without having to load paper into the embosser. 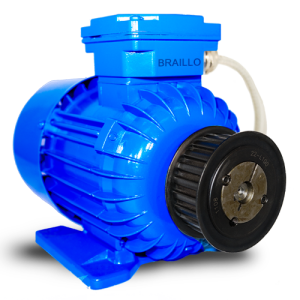 Download and print the Braillo 600 S2 manual in PDF format. View product specifications, details and important maintenance information.